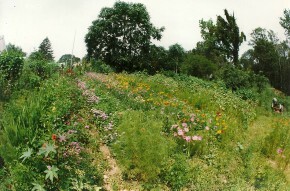 During the summer months, we grow a cutting garden for flowers. 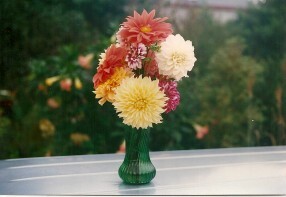 Arrangements in vases are available for their natural beauty, or that special occasion. 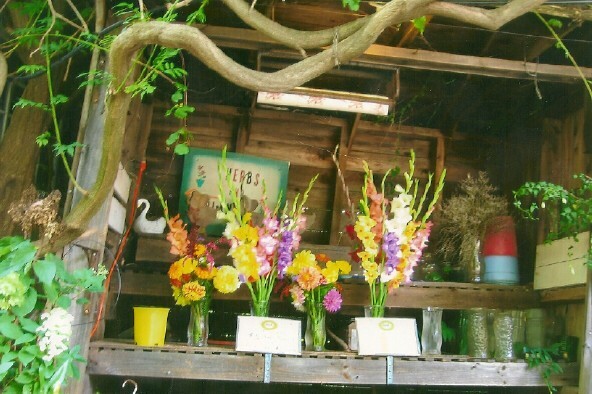 Self service cut flowers stand. 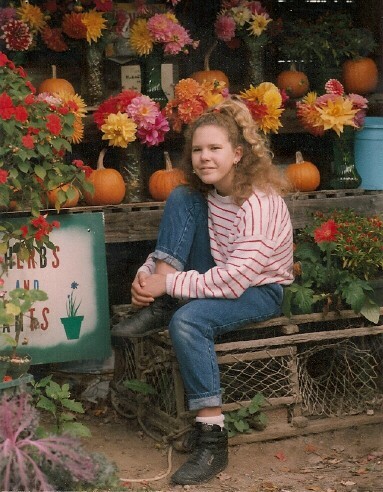 Amy Jo poses in front of the cut flower stand. 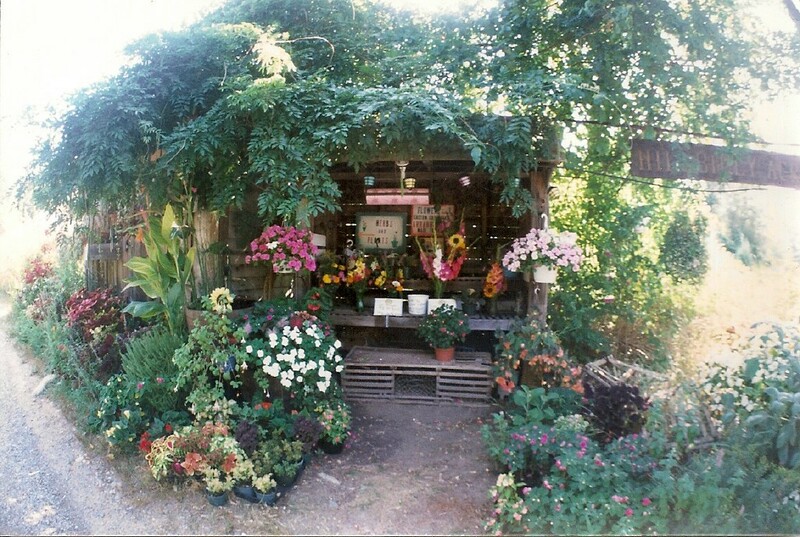 Self service cut flowers when they are in season. 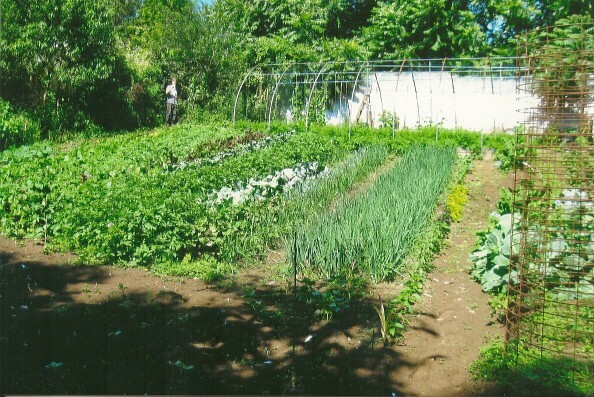 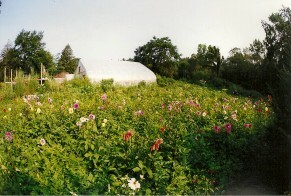 The fields outside the greenhouse have cut flowers or organic vegetables.